Having had my a-ha! 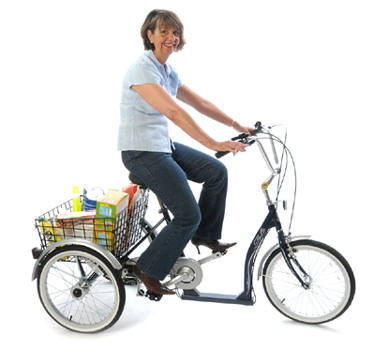 moment and realised that what I really needed most of all in the world was a tricycle, I began my search. 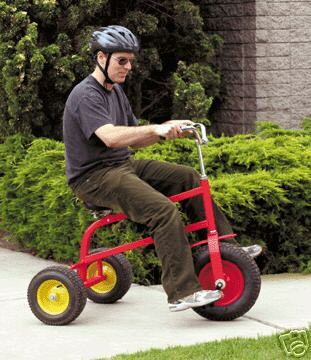 There are actually quite a lot of adult-sized tricycles in the world. Some of them are even quite cool. I almost managed to convince myself that the Gomier (or a similar bike) would make me look like a cool hipster. Remember this photo young Padawan. We will return to it. My searching took me more broadly. 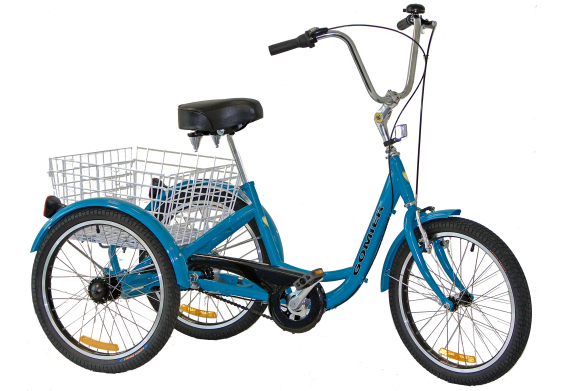 There are these Rideable Bicycle Replicas as used in the Wicked stage show. 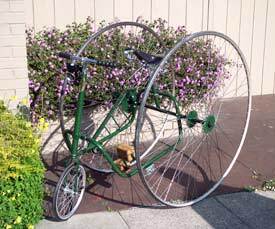 But I was after a bicycle not a replica. It didn’t sound very sturdy to me. There are Industrial Bikes like this banana peel. But we know the dangers of banana peel. And to be quite frank, that one looks more dangerous than most. At this stage I still had some thoughts of clinging to my dignity. 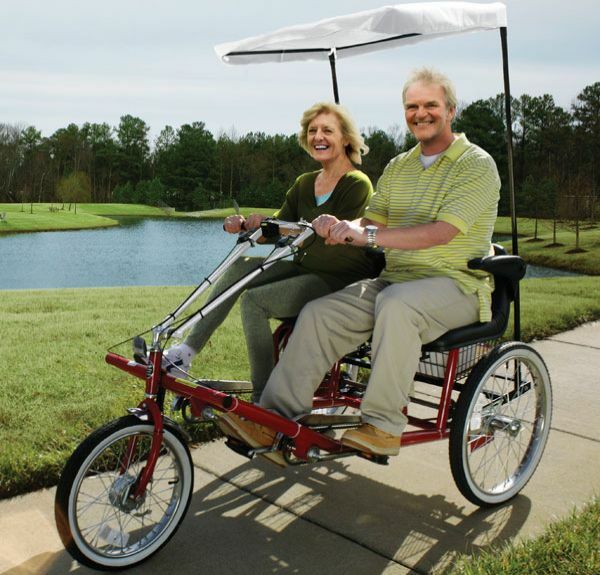 Turns out you can get Dual Seat Adult Tricycles. For those special moments when one seat is not enough. That’s just not how I see myself. And I didn’t think it would excite Fraser either. And this one just looks silly. And now we go back to that second picture I posted. Notice the expression on her face? Notice the expression on the faces of all the people in these photos? They are MORTIFIED to be caught riding their tricycles in broad daylight. Not just a little “ooo you got me” but more a “better get that plastic surgery so no-one knows it was me” kind of mortified. Clearly my dignity was on the downhill slope and the brakes were off. Not even this photo could save me. In the end I found a compromise to suit both me and what remained of my self-respect. I’ve taken my cargo bike out twice now and I’m up to a massive 2.4 km of riding so far. 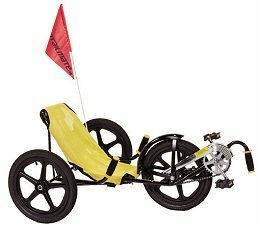 My mum had an adult trike when I was growing up. A bright yellow one a bit like the Gomier above. I think enough time has passed that I can now admit I used to take it out and…. ride it on 2 wheels. 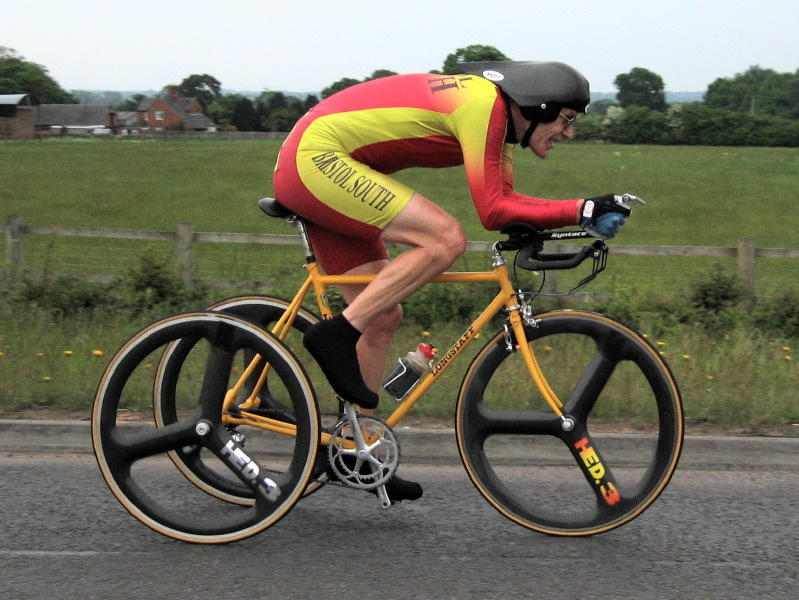 Not on the obvious 2 rear wheels Evel-Kineval-style, but on the front wheel and one rear wheel. Its quite difficult to balance and even more difficult to steer that way.